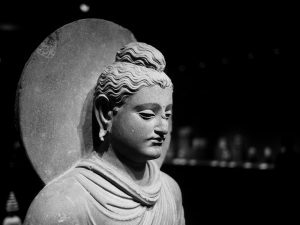 Mindfulness-based interventions (MBIs) are rooted in Buddhist mindfulness practices, but have taken mindfulness out of Buddhist contexts and put it into mainstream, evidence-based contexts more accessible to a greater variety of people. Mindfulness-based clinicians have been criticized for presenting Buddhism in simplistic ways that risk inadvertently fetishizing Buddhism and colluding with neoliberal forces that are simplifying, appropriating and commodifying religions and psychotherapies (Hyland, 2016; Purser, 2015). “Fetishizing” (Cole, 2015) here refers to when an approach or tradition references a previous one to draw on its authority, while claiming to effectively replace it. For example, Purser (2015, page 24) points out that Williams and Kabat-Zinn (2011, page 15) went so far as “to say that MBSR and MBIs1 are a recontextualization of the Buddhist teachings in all of their ‘essential fullness. 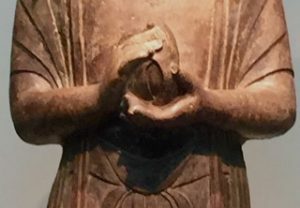 '” Mark Williams and Jon Kabat-Zinn have made remarkable contributions to clinical mindfulness and I expect that what they were trying to say here is meaningful, but their actual statement is an over-simplification — ancient religions are too vast, varied and profound to be represented in their ‘essential fullness’ in a clinical modality. while glossing over how Buddhism can be as dogmatic and authoritarian as any religion (Higgins, 2012), not to mention the long-standing, wide-spread boundary issues and lack of accountability now coming to a head with the #MeToo movement (e.g. Kornfield, 1993, pages 254–271; Campbell, 2018 ; Edelstein, 2011; An Olive Branch, 2015; Gleig, 2015; Varvaloucas, 2018; Biddlecombe, 2018, 2019). In describing EFMT (Gayner, 2019), I seek to be clear about the humanistic and existentialist perspectives or elements of practice EFMT shares with contemporary Buddhists such as Stephen Batchelor, (2012, 2015, 2017), Winton Higgins (2012), Dale S. Wright (2016) and Jason Siff (2010), as well as how EFMT extends beyond this shared ground in its orientation to emotion-focused therapy’s neohumanist principles (Elliott, Watson, Goldman & Greenberg, 2004), specified by emotion theory (ibid) and dialectical constructivist epistemology2 (Greenberg & Pacual-Leone, 2001). 2“Epistemology” refers to the philosophy of knowledge or the philosophy of how experience arises.